Access to the UK's largest pharmaceutical wholesale product portfolio and next day service our from modern warehouse facilities ensures that CST Pharma Ltd is your number one independent pharmacy partner. Since 2003 we have pioneered the UK export market, developing extensive sales to both EU and non EU countries. Discreet, close relationships with pharmacy groups have been nurtured over the last decade, our regulatory team assisting with all aspects of MHRA regulation and WDA applications. With an outstanding reputation, we currently purchase the most extensive range of UK ethical products for export. 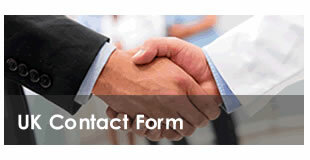 Please contact us to discuss becoming a supplier. We boast a portfolio of over 900 branded parallel import products that we supply on a next day service to over 4000 customers in the UK. Our active research team are continually researching new product opportunities with targets to apply for a minimum of 20 new PI licences per month from the MHRA and EMA. This ensures that we have an exciting pipeline of products for our valued customers. A pertinent comprehensive catalogue of generics to select from that are imported and licenced for sale in the UK. Acre Pharma Ltd. (our Sister company) will be launching a range of branded generics concentrating on semi exclusive lines that are in short supply. We aim to ensure that your profits are maximised. We stock Ensure, Fortisip, Fortijuice, Fortimel, forticreme range of nutritionals at generous discounts. Discounted diagnostic test strips are available in stock from manufacturers such as Abbott, Lifescan, Bayer, Scope, Roche, Spectrum Thea, Menarini, Nipro and many more. A supply of dressings from Smith and Nephew, 3M, Coloplast, Convatec and many more and available. A range of products to dental practices are available, please contact for further information. Fast moving vetinary products are available. Frontline and Advantage are two of the extensive range that we carry. Products sourced from all around the world and available for special sales within the UK. This is the UK's most popular electronic cigarette and CST Pharma Ltd. have just negotiated the sole distribution of this new product to the UK pharmacy sector.